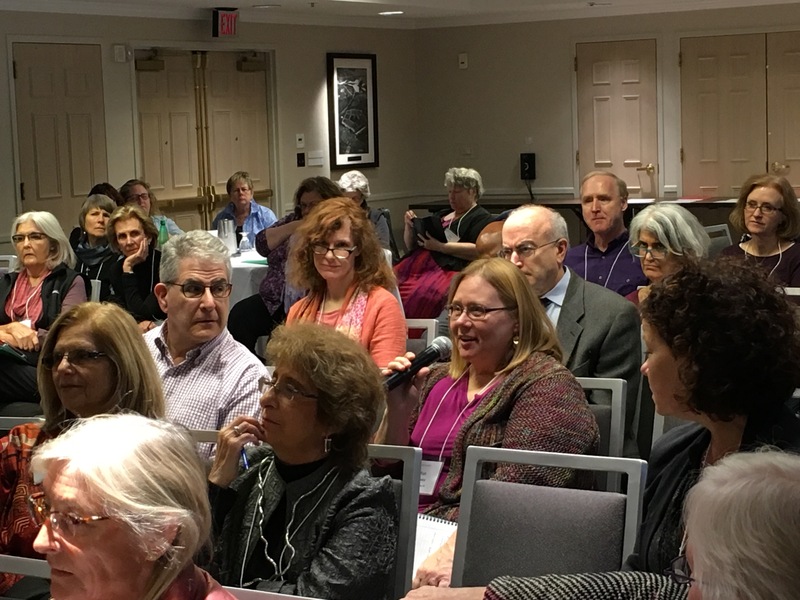 The work of the New Directions program is, on one level, to engage participants in explorations of psychoanalytic perspectives on life, culture, relationships, clinical practice and writing. On another level, for many of us New Directions provides a community of friendship and support, a thoughtful and creative space in which to explore who we are and who we might be, individually and in relation to others. 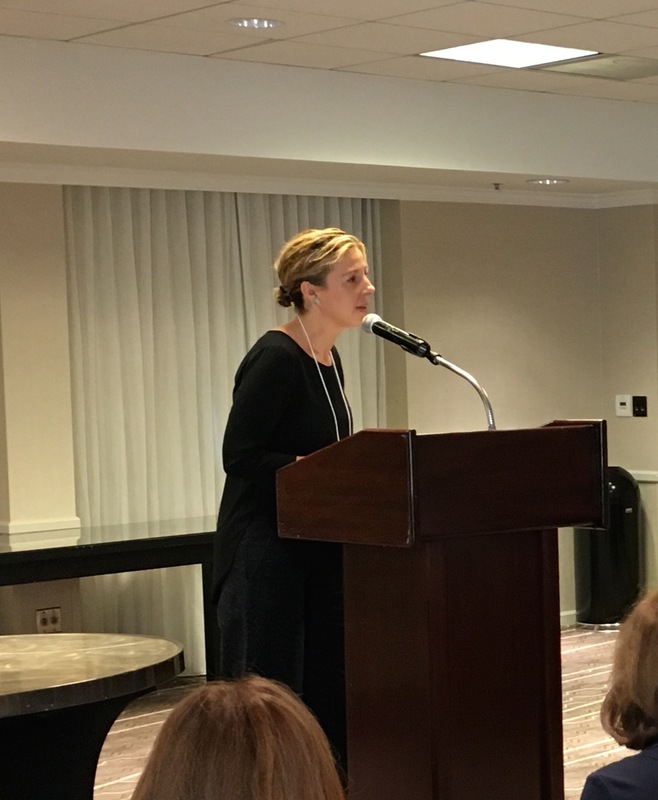 Coming just a week after the presidential election, the November 2016 New Directions weekend, Family Legacies, was one that I and others experienced as particularly poignant. For many of us, the election gave rise to feelings of shock, anger, despair, and fear as well as soul-searching about how it happened, what it might mean, and what might happen next. Coming together for the weekend with others who shared an intensity of response was comforting, but also provided the opportunity to consider the forms of our responses moving forward. This weekend conference really isn’t only about our family relationships but our social home and our communal legacy, so apropos this weekend. …We’re in the midst of a collective trauma, a commentary on all of us and our agency as an electorate. Our identity as a country is in tatters, a horror show of not-me parts embodied in the hated other. We are facing misogyny, racism and xenophobia, cowardly states in the looking glass of our country. The lynching of black men, now in its modern form of mass incarceration — it is a racial trauma, one woven into our national legacy. …The writers this weekend have each given voice to disowned traumas of slavery, of immigration, of war. These stories filled with despair and resiliency need to be told. While it is usual in this blog that I focus on the talks given by the speakers – and the talks this weekend were exceptional – it seemed more fitting this time to focus on the conversations that took place after the talks, the interactions the speakers had with the audience of New Directions participants. Each conference talk is scheduled for 90 minutes, and speakers are instructed to limit their talks to 28 minutes, leaving us with an hour for discussion. As a group, this weekend we considered on-going expressions of racism and the historical legacy of slavery, income inequality and the alienation of America’s working class, immigration, and misogyny, along with discussions of our own feelings of anger, fear and shame. 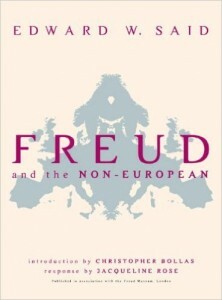 In Freud and the Non-European, the Palestinian post-colonial theorist Edward Said (2003) argued that Freud’s original project was anti-racist, a struggle to remove “degeneracy” from discourses of race and blood (and particularly Jewish blood) and to say that each human struggles with good and evil. 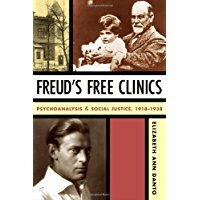 In Freud’s Free Clinics, Elizabeth Danto documents the free psychoanalytic clinics opened between 1920 and 1938 in Vienna, Berlin, and eight other cities to serve working class and poor patients. 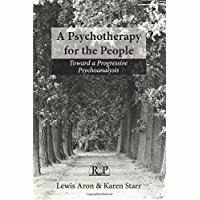 However, as Lew Aron and Karen Starr document in A Psychotherapy for the People, psychoanalysis has existed in a complicated social and historical context in which its progressive mandate has often been sid elined and its relevancy for addressing racial, gender, sexual and social class divides is often lost. This weekend, it was a relief to many that we were able, as a group, to have candid discussions of our nation’s wounds and woundings. 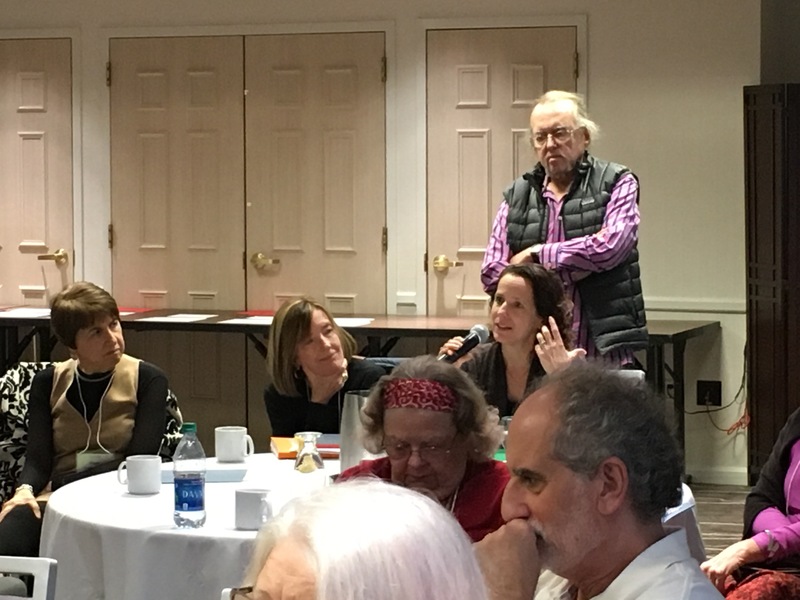 It was equally a relief to be with a thoughtful and caring group that was struggling together with questions about how to move forward, sharing the conviction that we each need to find ways to actively work on building and defending the society we wish for. 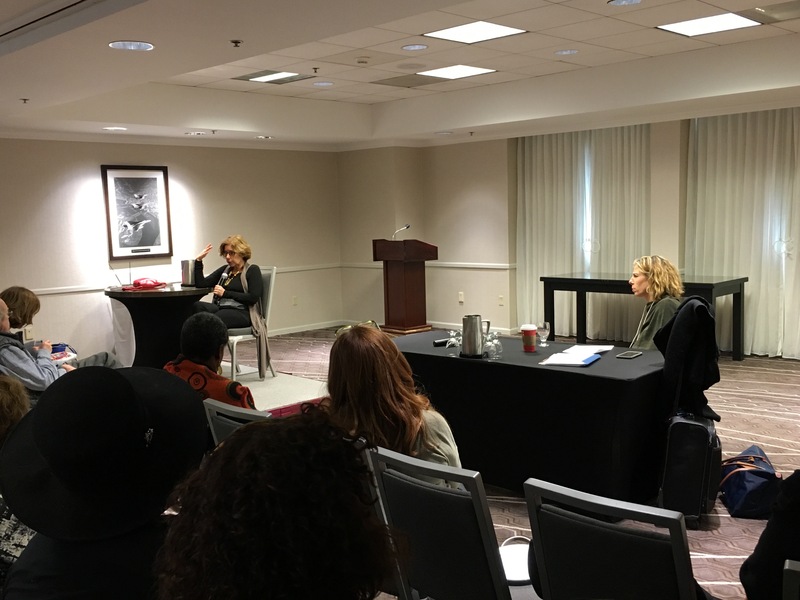 In our conversation with Golden following her presentation, our talk turned to how to think and write with compassion for those in our lives who we cannot come to see as heroic. Audience member: You brought up Hillbilly Elegy and it made me think about the difficulty of writing memoir when your people are not the heroic people, when your people are those other people and the difficulty of doing that with compassion and with care and with finding a transcendence …of being able to learn out of that and that’s a challenge. …I identified [with J.D. 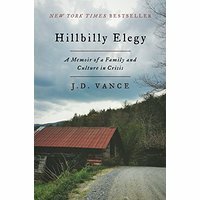 Vance, author of Hillbilly Elegy] and he does talk about being the one that got away. And you love those people and they love you and they would do anything for you but they are those people too. And you have to find a way to not separate yourself from them as you are separate from them. 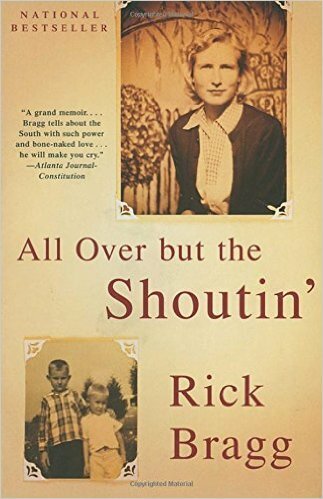 Golden: One of my favorite memoirs, and I think this guy does it beautifully, is Rick Bragg’s All Over but the Shoutin’. And I think he beautifully writes about having gotten out by the skin of his teeth and being what he calls a poor white, okay, and being called that by other whites and then the whole racial thing and he writes with such compassion about that. And I think the harder something is, the the more necessary it is. 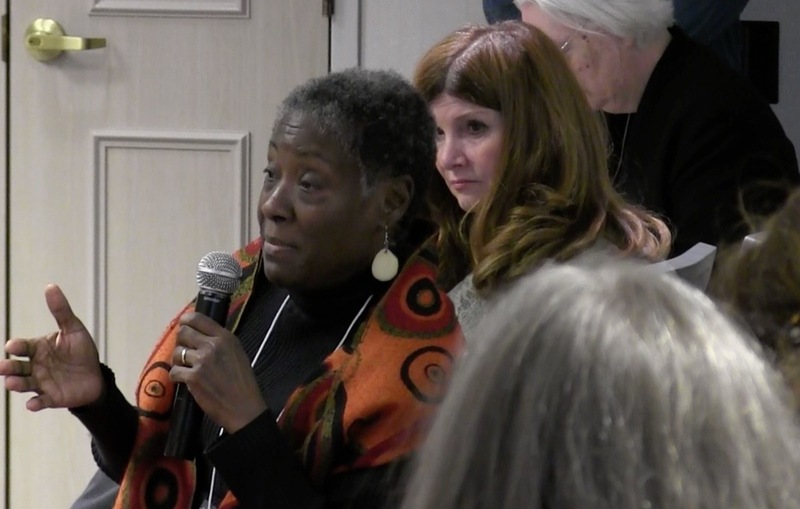 Audience member: Simultaneously, we just have been talking about continued people’s empathy with and connection to the people we came from, but simultaneously, we are swimming in the society and the culture in the present day. History is like a river and the source is of the river hundreds of years ago… …And we are all swimming in this river of history, so simultaneously we are trying to maintain compassion and objectivity and reaching out to one another while we are also swimming against currents where it seems like… the legacy of historic trauma accumulated and accrued is projected onto, let’s say, color, and people unconsciously and consciously can’t resist… symbolically it has a kind of grip on us…. My question is, in writing, can we simultaneously while speaking in the present about maintaining empathy with the people we’ve escaped or the people we are reaching out to, also encompass the historical perspectives? Golden: Oh yes, and that’s one of the things that happens in a really powerful narrative. For example, in Bragg’s book, there is a beautiful section where he talks about his father going off to fight the war in Korea. And his father was just basically this poor white boy who had never been on an airplane until he went off to war, who never had been out of his state until he went off to war. And so what he does is he uses his father’s life as a metaphor for sociological and economic big issues that had kept his father marginalized as a poor white in the South until he was needed for cannon fodder. And so what a good narrative can do and does do is bring that big picture in by making it micro. I lost my grandmother, I wanted to attach to my therapist but the racial complexities were full of things like who was going to abandon who, how am I going to lose the person, how is hatred going to come in and destroy this, and the whole issue in our culture that if you are black you can’t have a white mother, if you are white you can’t have a black mother. You can’t belong to that person, really. There is such a profound splitting that we internalize that is all threaded through an experience like that. 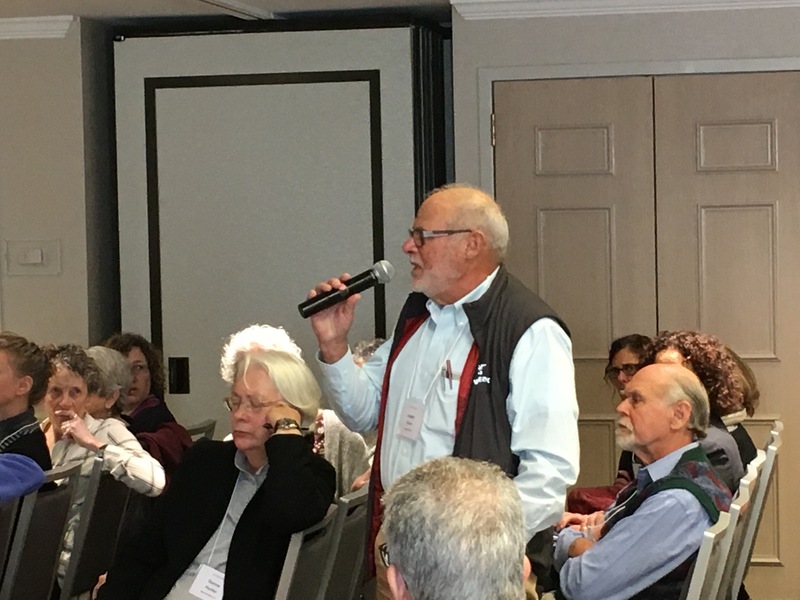 Audience member: I was thinking as you were speaking about that fear of doing damage and how present that has been in the last few days [since the election]. My son is multiracial and he has said to me things about how hard it is to even look at white people, which I assume includes his mother, in the last few days. He says that walking across campus, he finds it difficult to even look at people because he doesn’t know who is going to look at him like “Screw you. I got you.” And the shame and hatred that he feels. And some of it in relation to my students or him or whoever, people I meet on the elevator or the Metro, I become filled with fear and anxiety that my very presence [as a white person] is doing harm, is hurting them in some way. There’s a way in which I imagine, like in talking with my son, that I can take a kind of therapeutic stance, like “I can take that, you can give it to me, I can take it, I can hold it.” But there’s a way that takes a distance [from our own racism] as well because one of the things I heard you say is, in the dream you were talking about, there was some unconscious identification with racism, and that’s the part that I find disheartening, and I don’t want to take a distance from that part. 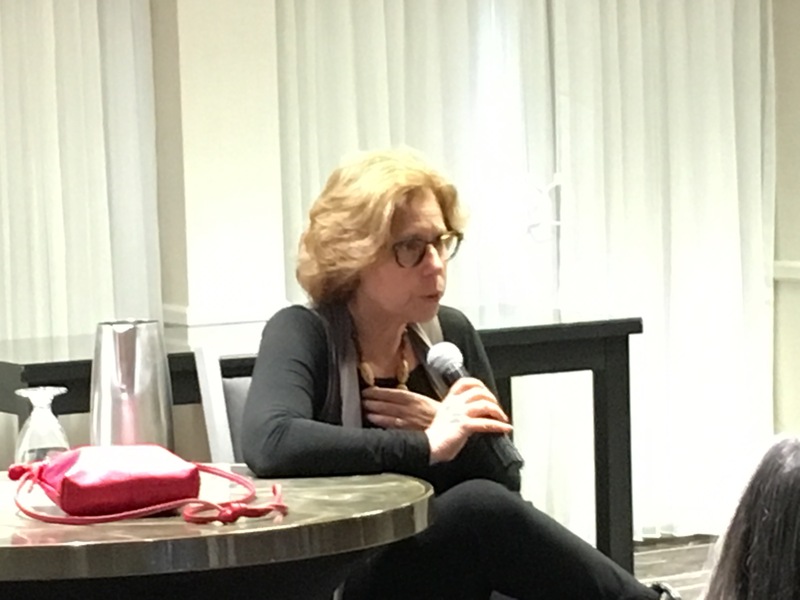 Grand: I just want to say that one of the things that is important to communicate from this paper is that [my analyst] gave me the opportunity to communicate that I could have a destructive part in a loving and lovable personality, and to make reparation. The biggest quandary when we experience our own destructiveness is if you feel that there is no way to make reparation for that part and if there is no way to be received in your basic loving goodness, if you are only that [destructive] part, then we’re going to be more terrified and uncomfortable about recognizing that part and recognizing that somebody could see that part of us. This is very important and its going to be very important now. Members of the audience described other feelings of destructiveness following the election. Audience Member: This whole week I find myself trying to find smidgens of grace in my heart for people who …don’t see things as I do and I keep finding myself thinking about reconciliation fatigue and I think that can go back generations too, whether it is within the most intimate situations within families or across cultural lines. …I have to work – simply out of fatigue for the whole thing– to have a little understanding and grace in my heart for people who act the way they do; some of them go as far as to rewrite history, like the holocaust never happened and slavery wasn’t so bad. …I’d like to have some discussion about how we might understand the fatigue of trying to reconcile all these complexities over the generations and what we might do. In those moments it is very easy to call others “the other”. Grand: One of the things we are called upon for now for is that we must have a clear line in the sand about hatred, about persecution, about protecting people. This is, for me, non-negotiable. How do you do that without just hating the people that voted this way? Certainly, I have trouble because even if I don’t think that these voters were all motivated by misogyny and racism, they certainly were willing to overlook it, like it was okay. I have people in my life who voted Trump, good people who I’ve known forever. What do I do? I’m struggling. Part of me just wants to go find people who voted for Hillary or not, and okay. But I can’t live like that. That’s just another kind of alienation. That’s not going to work. So what do I do with actual people in my life? Do I ignore it? Do I say something? How do I work with this? So we’re going to be challenged, because we can’t just live in our own bubbles and that’s not a good idea anyway. 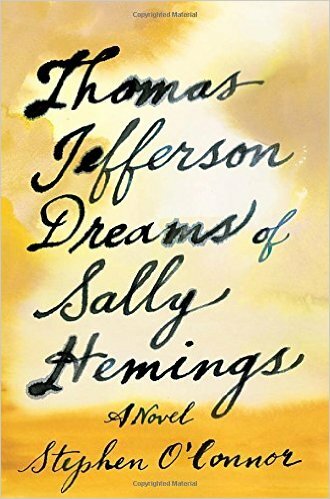 This question of how to move forward is one we continued to discuss with author Stephen O’Connor, whose book Thomas Jefferson Dreams of Sally Hemmings imaginatively explores how Jefferson could be so profoundly committed to democratic ideals in his public philosophy while rationalizing his own slaveholding and coercive, non-consensual relationship with Hemmings. 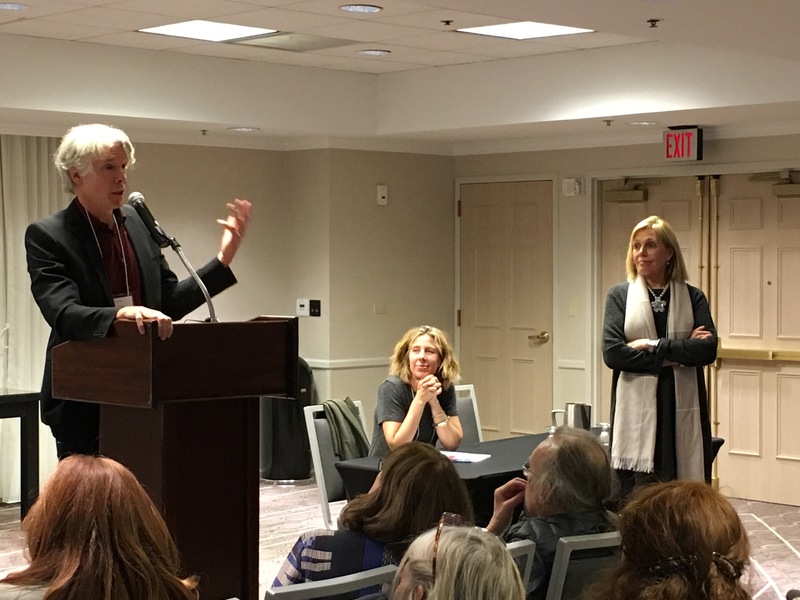 O’Connor’s talk highlighted how easily we deceive ourselves about who we are, and he extended this worry to responses to the election and how easy it could be to let the momentum generated for the left at this political moment slip away. O’Connor described his considerations about where to put his efforts following the election and his conviction that it is essential that we keep talking to others across the hateful divides that seem more and more to be taking over the country. As an activist myself, as I witnessed and thought about everything that happened I thought, “Okay, let me channel my inner Fredrick Douglas. Let me channel my inner Ida B. Wells.” And when I think about them as lifelong activists who are living at a time when black people were lynched, black people were enslaved, facing all the ebb and flow, rights given, rights rescinded. Woodrow Wilson comes in the office and he put up curtains in government office buildings to separate black and white people. So African-Americans, we have a long history of dealing with Trumps in various guises. I think that this is a really important moment, a moment where those of us who claim moral authority will be tested. I think that out of this, we can do some amazing, amazing things, as long as we don’t get distracted and keep channeling our inner Ida, our inner Frederick Douglass, because there’s so much work to be done. It’s like a sculpture; you have to burn it up before the beautiful thing is made. And I really think that Trump, if we play this thing right, he’s going to take us so deep, we can be beautiful on the other side of this. Throughout the weekend, I reflected on the thought that the shock of the election was the shock of being faced with the harsh fact that the wishes and hopes that represent our best selves can so easily be rejected. 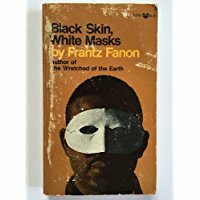 I thought about Sylvan Tompkins’ definition of shame as rejected love or the thwarting of our good intentions and of Franz Fanon’s 1952 writing in “The Fact of Blackness” in Black Skins/White Masks: “I shouted a greeting to the world and the world slashed away my joy. I was told to go back to where I belonged (pp. 114-15).” The sense of shock and surprise is surely greater among those of us who are used to the privilege of being able to imagine that the world more or less supports us in our basic being; it is a fresh wound. For others of us who have experienced ourselves as regularly marginalized, this election once again gives rise to fear and anger, but of the sort that is an old wound that is opened again and again. 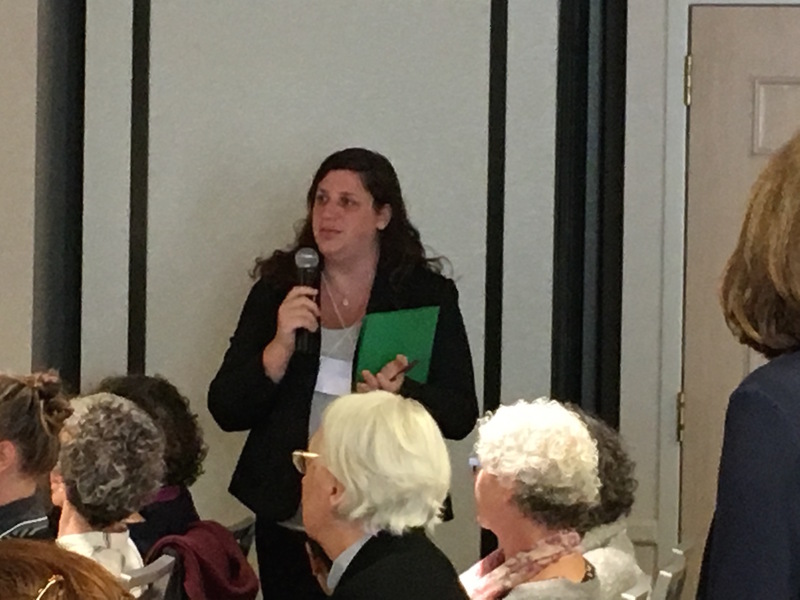 Our time together at New Directions gave us an opportunity to talk and offer consolation across the commitments and concerns we share, without ignoring differences. 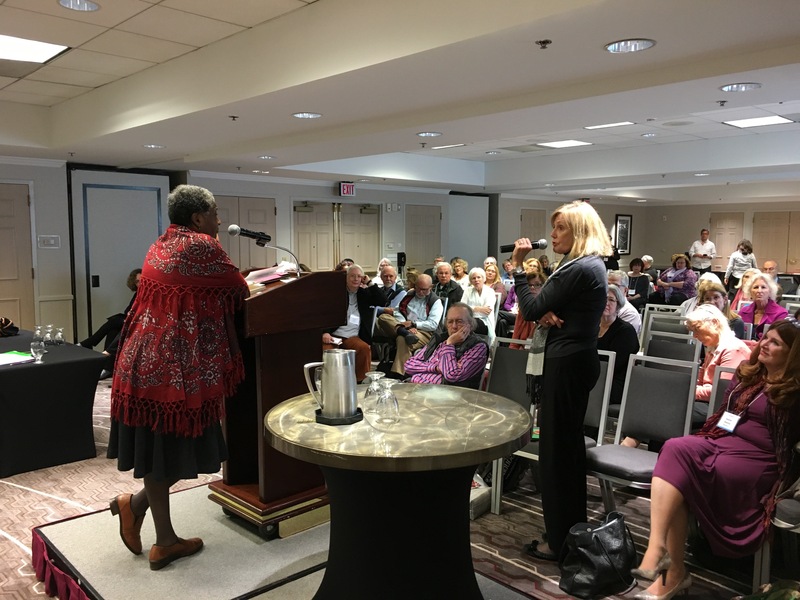 It allowed us to think about the considerable contributions that writing makes to our “continuing journey to be human,” as Golden said, but also allowed us to collectively support one another in what else might be needed moving forward. I was both comforted and energized to be with this remarkable group of intelligent, articulate, reflective and compassionate people during our November weekend. 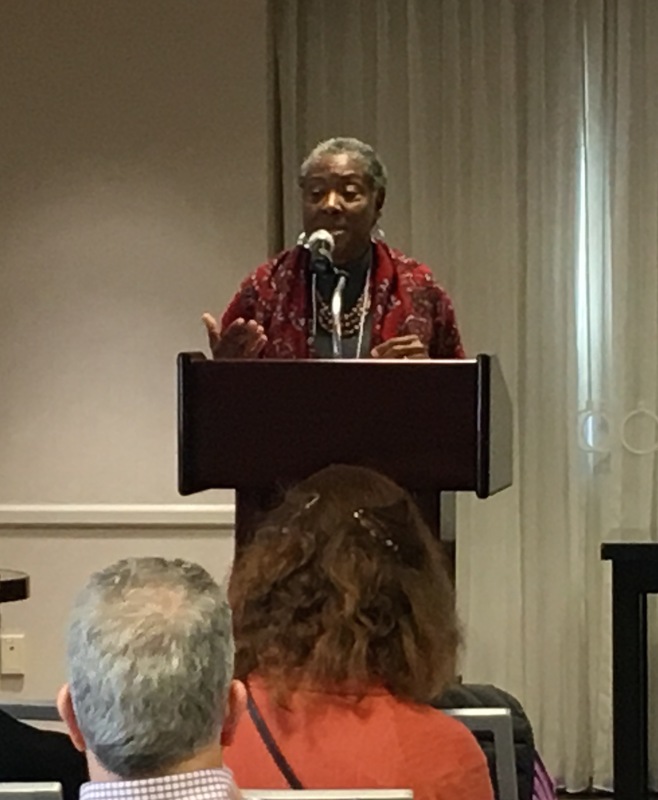 I am grateful to Catherine Baker-Pitts for bringing this weekend to us and to the speakers who so generously shared their minds and hearts with us.